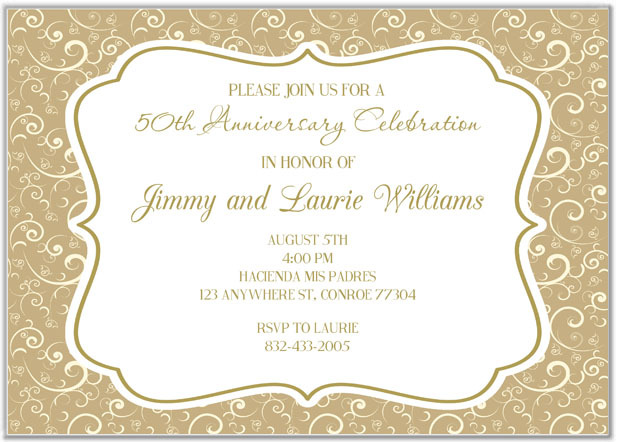 50th Anniversary party invitations. These golden wedding anniversary invitations feature a golden swirl background. They are printed using a high quality laser printer and the finished party invitations are affordable.